Spa Scene: St. Lucia’s ocean-side cliff massage is the experience of a lifetime. Eco-Love: All of the tap water is purified on site, guests can opt out of daily laundering of sheets, many herbs and foods served in the spa and restaurant are grown on site, eco-friendly cleaning products are used in the rooms and the spa uses only all natural spa products designed and developed locally. 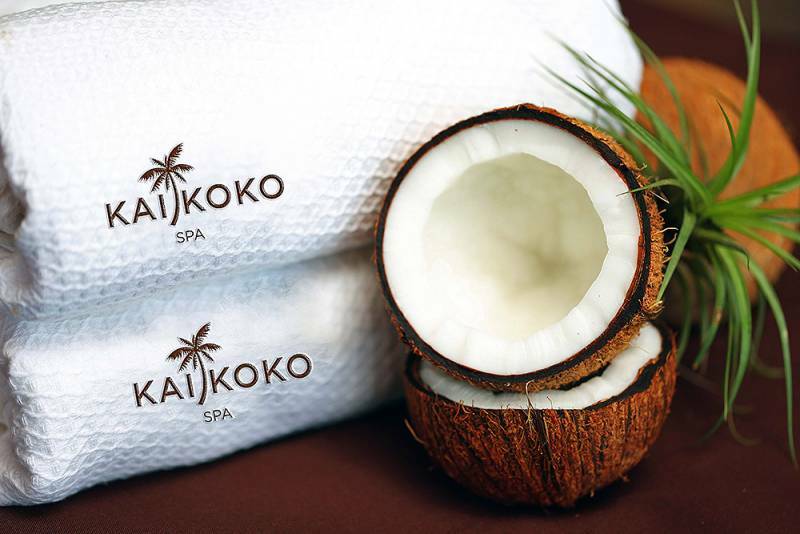 The Kai Koko Spa is constructed entirely from local coconut wood, and their unique product line and treatment protocols are inspired by the natural beauty and hidden treasures of St. Lucia. Spa Details: The Kai Koko Spa is constructed entirely from local coconut wood, and their unique product line and treatment protocols are inspired by the natural beauty and hidden treasures of St. Lucia. The spa menu invites guests to tour to the island’s nourishing sulphur spring volcano, to dive into the mineral-rich waters of the healing Caribbean Sea and to wander through the famous chocolate plantations without ever leaving the treatment table. All of the Kai Koko Spa products are crafted by local Naturopath and Founder of Natmed, Dr. Gayle Devaux-Segovia. From pure coconut oil and cocoa nibs to exotic essential oils, these gentle products will soothe, nourish, detoxify and energize your body, your mind and your soul. Must-Try Treatment: The most unique part of the Kai Koko Spa Menu resides in its “Rituals”, where massages are paired with local adventures with your beloved. Our favourite is the Detox Ritual which includes a trip to St. Lucia’s famous spice market with the restaurant chef to learn all about local herbs followed by a couples massage. Talk about dreamy! Insider Tip: Pre-book your appointment for mid-afternoon so you can enjoy the snorkelling, scuba diving or beach bumming before your appointment. The long haul there is worth it. Awards Received: 2013, 2014 and 2015 Wind Spectator Award of Excellence, 2015 Trip advisor Hall of Fame Certificate of Excellence, 2005, 2008, 2009 and 2012 Trip Advisor Travellers Choice Award. Heads Up: It is a 90 minute long and windy (and for many, nauseating) breathtaking drive from the airport to the resort. Be prepared and add it as part of your adventure.